Stop everything! 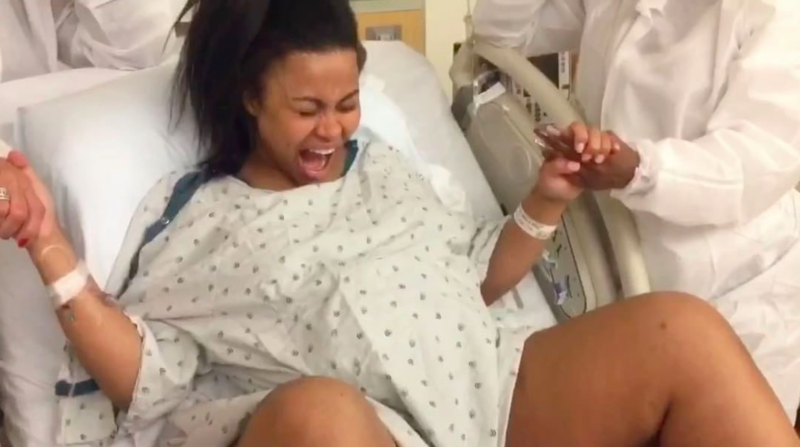 Blac Chyna, Rob Kardashian & Kris Jenner did the mannequin challenge in the delivery room! Leave it to the Kardashian clan to jump on a trend while in the delivery room. On Thursday, Blac Chyna, Rob Kardashian and Kris Jenner did the Mannequin Challenge as Chyna prepared to give birth, which is wild. The Mannequin Challenge is exactly what it sounds like, people freezing like mannequins in random places. Okay, it’s a little more intense than that because groups of people are getting together, freezing themselves in place and recreating intense scenes while doing so. The only thing that moves in these #MannequinChallenge videos is the camera, which tours the scene and it’s pretty cool. The Kardashian family is the latest group to jump on the mannequin bandwagon and they took it to a whole other level. "Dream Team  #mannequinchallenge," Chyna captioned the video of her hospital squad. Chyna might’ve just given birth to her and Rob’s daughter, Dream, this morning at around 9 a.m., as E! News reported, but she managed to post this hospital mannequin video the same day and it’s out of this world. The 28-year-old new mother, is in the middle frozen like she’s giving birth, while Kardashian waits at her feet, as an expectant father. Jenner is stationed over Chyna’s shoulder and she looks nervous, while wearing a delivery room cap. It's hilarious and also features a few of the couple's friends as well. Now all we need to know is if this was done pre-baby or post-baby? What do you think? We’re hoping it was after Chyna gave birth, because then it would be less stressful for everyone involved. LOL, this family is just too much sometimes and yet, we love them for their outrageous actions and this humorous video.